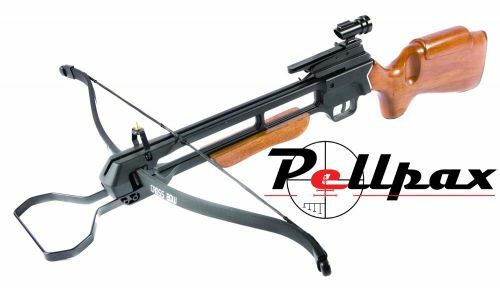 A powerful and well made crossbow from the leading name in archery equipment, Petron. This model features a solid wooden stock, mounted onto a strong metal frame to reduce the movement and flex whilst shooting, leading to better accuracy. The limb comes pre strung so there is no struggle when it comes to assembly, just attach the limb and accessories, and start shooting!